This the sequel from the previous post about styling competition held by Gallery Lafayette and NYLON Indonesia. This was what happened on the next day, judging and gathering. We presented our styling ideas and the reason why we chose those outfit in front of the judges. And.. Kak June Paski came as the winner! Me, Catherine Soepadhi and kak Genu also win the quiz and got some gifts :D As you can see from these photos below, I'm so glad I could finally meet them in person! And for you Indonesian stylish readers, Fashion Is You is back! You still have time to submit your look until 12th of October. 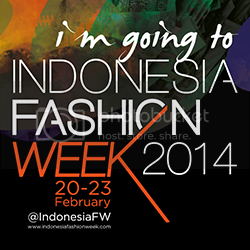 Come and join and be the one of 200 chosen participants who will walk 170 meters long red carpet. Click HERE to subscribe. Kak Ario is sooo cute! Love how your paired this look with sneakers! Really cool! Everything looks super fun!! Wow so lovely! Have a nice week! Looks like a super cool event! I'm loving the neon in your outfit! everyone looks so cool! and love how you paired sneakers with your outfit. Cute outfit! You have a nice blog, let me know if you want to follow each other to stay in touch. Have a sweet day! Wonderful outfits! Great post dear! amazing, you guys are fabulous, wish I were there. anyway, I love your shoes so much, matched your top really well. ga sabar nunggu new outfit post dengan poni baru lo Tha..
Looks like a lot of fun and I love the outfits! love the neon! the sneakers make the outfit so cool. great blog!